Mangaluru, Feb 12, 2016: Service charge at the rates mentioned below will be realised for tickets issued from non-rail head passenger reservation centres functioning at State Govt. 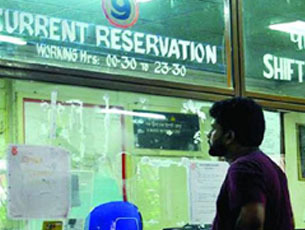 offices, Banks, etc., and manned by persons other than Railway staff, with effect from 15th February 2016. This will be in addition to the reservation fares for tickets. The service charges are inclusive of service tax. Thanks to Manglore Today for publishing this news as to meet the convenience of all to avoid being cheated.